Ed sheerans visual journey was on my wish list for so long, and when my mum bought me the book for christmas I was over the moon! Ed, teamed up with a fantasic artist called phillip butah, who’s work you see through out, who’s is also Ed’s childhood friend. The book helps you connect in a personal way with Ed, because you follow him through his journey to getting to the point where he is today, which didn’t come easy for him! It gives you a great opportunity to learn more about where he came from, and to never give up on your dreams. I was so honoured when Kevin Morris asked me to do a guest post for ‘newauthoronline’; I jumped at the chance of getting the name ‘inspiredbyabook’ out there, giving it the opportunity to reach a wider audience, and hopefully get me the recognition I’ve always hoped for. I chose to write a piece on why I started my blog, in hope for it to give other people the confidence to follow their dreams and if they’re wanting to, start their own blog. I’ve always loved reading, so I put two and two together and created an instagram about books, originally it was called ‘review_that_book’, but eventually I felt this didn’t represent me as a person, or been able to post a wide variety of things on my instagram. Eventually this lead to the birth of ‘inspiredbyabook’, and new found ideas of creating my own website! Which I did less than a month ago, and already I’ve got 500+ followers which mean the world to me! With the new name and website, I finally could share something I’m passionate about and thoroughly enjoy! Having a website helped me reach a wider audience and share my own thoughts and opinions, instead of writing a thousand mile long explanation on instagram! Sharing my opinion is how I got the opportunity to write this guest post, because Kevin liked ‘eBooks or paperback’ which expresses my opinion very well. I’m defiantly hoping to achieve my dreams from doing this, and my main goal is to get in contact with some publishers, and start requesting and receiving ARC copies of books to review! I refuse to stop, until I’ve got where I want to be. Finally I’d just like to say, if any of you have dreams but are afraid, no matter what age you are, just go out and grab them! There is no one there stopping you, and you have full control! In the end you will be so proud of yourself, every struggle, down days or when you feel like giving up only make you stronger, and so keep at it! At 17, I’ve achieved so far in the space of around 3 month, more than i could have ever dreamed, if I can do it, around college and work life you can to! I’ve read nearly the full series of these books! And I don’t intend to stop anytime soon. Every book by Michele Hauf is written fantastically, and never fails to impress. The twists and outcomes keep you reeling and on edge the whole way through! After “Her vampire husband” and the repercussions on that story, it’s only fair to make malakai fall in love with a “fairy” and drain the life of him! 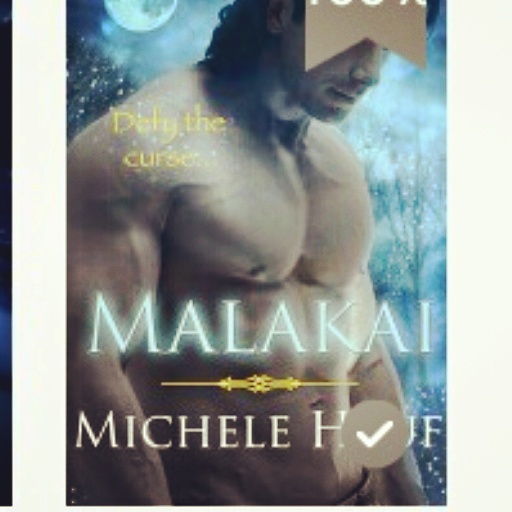 Facing the witches that made the curse, malakai fights blood and sweat to be able to be with the girl he loves! And he succeeds. I’d give this book 4 gold stars, because I just love the book so much! And can’t wait to finish the whole series!! Please go out and check this out on amazon! It’s a budget buy and 100% worth it! Also go check Her vampire husband. My favourite of all time! 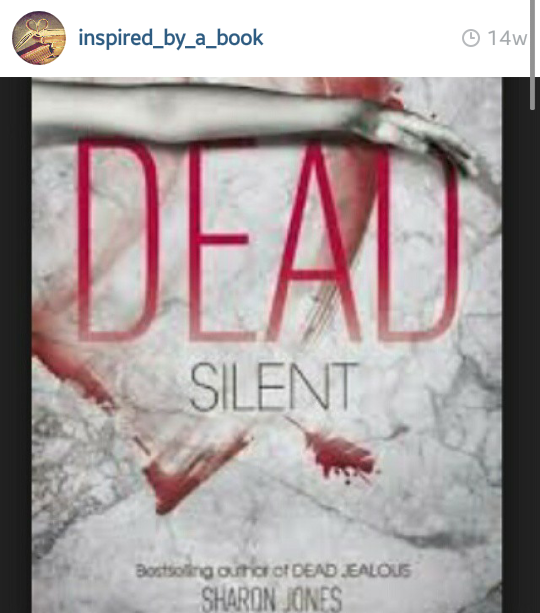 Dead silent is the book after dead jealous (poppysinclair series). Which again is a thriller & mystery, written by sharon jones. I’m giving this book a ??? 3 gold stars, because i didn’t find it as memorising as the first book, whereas the first book never faltered, this one has it’s downfalls. I still found how the book unfolded and developed was done in a incredible way, just like the first. Furthermore I would definitely recommend this book, especially if you have read ‘dead jealous’. The book also has a 3.97 on goodreads. (Longest blog ever) Do people still read? What’s happened to when picking up a book was a socially normal thing? All you see or here these days is that it’s un-cool and boring. I can’t understand why it isn’t cool or fun, before technology came around, books were out only form of education and entertainment. Call me old fashioned, but I can’t think of anything better than picking up a book after a long day. Has society gotten that bad, only 1 in 5 parent’s find time to read to there children? But they still find time to go out and by a 5 year old an iphone. Is it also that bad 10 to 16 year olds, only read for pleasure, because it’s in the school curriculum. As shocking as those figures are, they’re true. Each generation are losing touch with reading, evidently from help of the parents not reading to children at all. And this is why EBook sales have risen, It’s basic laziness, for example amazons 1 click service. All you have to do is press the button and you instantly own a EBook, without having to go to the library, or search Amazon for a paper/hardback book, or spend a hour in town looking for a book to buy, not to mention waiting for delivery. Society has become blind to how important reading is for everyone’s literacy developing skills, also how important it is for education. They even do texts books in EBook version! Linking to the TV show the chase, the chasers intelligence has come from reading books! Why would parents want to deprive their children of the intelligence and fun they can have from reading a book? According to the guardian, people don’t even purchase paperbacks as much as EBooks, for every 100 hard and paper back sold, 114 EBooks are downloaded. Hands down this is the worst thing that could happen for the next generation of children! Technology is taking over the brains of young children, making them lose touch with the real world, and what’s most important to them! · You need to take time on weekends and days off, to actually go buy your child a book to read from, if not with-in 20 years time, the only books you’ll see are the ones sat in a museum, because publications will have closed down and will no longer be publishing books because no one buys them! · Give you and your child some bonding time, buy a collection of short stories and try read at least 3/4 times a week to them! · Ditch the iphone for Christmas and buy them books! · Try make reading fun, for example the 2015 reading challenge, and if they complete it, promise them a gift. · Try reading yourself, make an impression on your children. If it’s children or teenagers reading this, then here’s my tips for you! · Don’t listen to people who say it’s un-cool, because secretly they’ll be the biggest book worm you know, and secretly they’ll read everyday. · Try reading short books to start with, work your way up to bigger books. · Read things you’re interested in, like young adult, or dystopian. Like the pie chart shows, some changes need to be made, read paperback and when you need a break take on a EBook, but just because of laziness don’t rely on EBooks all the time. Give your brains a break from technology, sit somewhere quiet and drift off to another world with a book! It can be done, reading just needs the praise it used to get. Here’s the interview with Jonas Lee , to help you get to know the author a little better, and to persuade you to go out and buy the book! A. Other than my utmost thanks, I hope my readers know I’m doing this all for them. It’s not for fame or money, I do this to entertain and share my imagination. Starting out alone, I’ve gained a lot of friends and fans along the way and put a lot more of my own time and money into my passion than I’ll get out anytime soon. Above all, I’ve learned more about writing and the business of publishing than I thought I would need… and it’s great! Q. Have you learned any new things about yourself from writing? A. I’ve had to learn about patience and essentially how to become a better writer. Patience because I think that as a new author, I’d start gaining momentum instantly. I wonder how many people like me thought that? It takes a few weeks to burn through the kindling of family and supportive friends, it takes months past that to start gaining new followers who actually enjoy my writing. I think the more I read and write, the better I become. I’m only on my second published book, but I enjoyed writing it more than the first. Q. Do you see yourself as a role model that people look up to and admire? A. I don’t see myself as a role model, at least not yet. I save those monikers for people who pursue great things through adversity, selflessly. Me, I’m a guy who loves writing and sharing my passion. If I ever get popular enough I hope I can strive to be the kind of writer others can look up to. Q. Have you ever had writer’s block? If so, how did you get rid of it? A. I don’t think any writer has ever not had a case of the block. It’s like getting some piece of debris in your eye. Likewise, it prevents writers from seeing past the annoyance as well. The only way I’ve found to get around it is reading. Reading always relaxes my mind and instead of trying to will the block away, it naturally fades away on its own. Q. Do you have any strange writing habits? A. Nothing like a lucky hat or anything unique. I do sometimes talk dialog out to myself, usually while driving around. And for some reason I always find myself doing so with a slight English accent… No. Idea. Why. Q. What are your plans for the future, what’s your next project? A. I plan on writing for as long as I have ideas. I hope publishing takes root and I can make it a full time career someday. Currently, I have the third install of Carter Gabel’s adventure to start. I am also constructing the characters and background of a new series set in the future. This new series will revolve around a kingdom headed by four immortals and within the boundaries, different classifications are signified through tattoos. Q. What scene in a book do you find the most difficult to write? A. For me, the final sequence of events is terrible. Mainly that’s because I could write scenarios and other tiddly bits for my characters forever like a soap opera. So, putting an end to their journey is quite stressful. Q. Do you read your reviews? A. I read everything so far at this point. The most helpful reviews are the ones that let me know what they liked and maybe didn’t like. I have had a lot of time to grow and develop from the first book to the second book and that is in large part to the reviews I get. Q. What’s the one subject you prefer or would never write about? A. I feel like I could write about anything, I consider it like exercising a group of muscles. My weakest and least favorite to exercise would probably be romance. I enjoy a romantic element to stories, but surrounding a story around it would get tiresome for me. I need magic, I need supernatural and there are many talented authors in that field who are already gladiators.